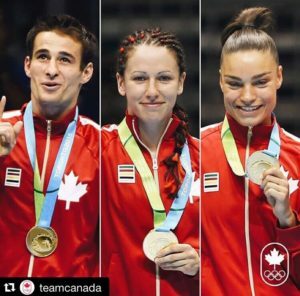 The month of July was an exciting time for the City of Toronto by successfully hosting the 2015 Pan American Games (not to mention the ParaPan Am Games about to begin this week). Toronto proudly accommodated thousands of athletes, coaches, families and supporters from 41 countries internationally. For many Torontonians, it was a hard decision on which sport to focus on and who to cheer for, as there were so many to choose from. However, for the team at Fight To End Cancer – boxing was our “Main Event”. The sport of boxing remains the headlining entertainment at our annual gala fundraiser in support of the Princess Margaret Cancer Foundation; however, it was especially highlighted upon at our 2015 edition that took place this year on May 30th. Our friend, Mandy Bujold, attended Fight To End Cancer 2015 as a special guest and presented an award to our Co-Main Event, which featured two of our female corporate fighters, Erica McMaster and Paige Cunningham. 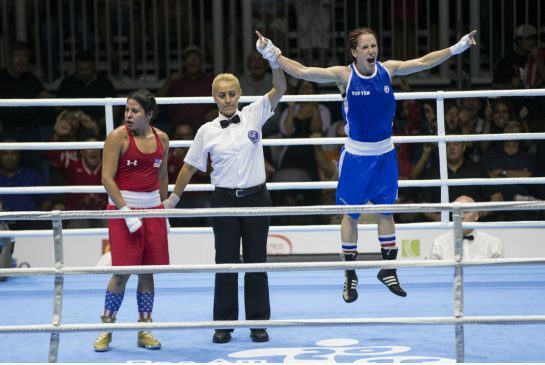 In addition to presenting the award, Bujold took a moment to talk to our guests about her experiences as a female in boxing and the journey she has embarked on towards competing in the 2016 Summer Olympics being held in Rio de Janeiro, Brazil. This was a truly inspirational moment for the many men and women in attendance at our gala that will hopefully encourage some to take a stronger interest in the sport that she has devoted her life to for over a decade. 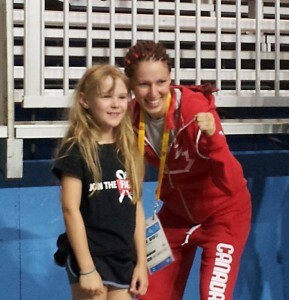 51kg Women’s Elite Boxing GOLD Medalist Mandy Bujold posing with Abbey after her fight in the 2015 Pan Am Games. Abbey’s mom, Dawn Ramsey-Brown, fought in the 2014 Fight To End Cancer. 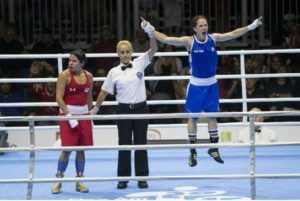 With an already impressive amateur-boxing resume and a passion and drive to fight in the Olympics, Bujold managed to recently add a major new notch to her belt after capturing the Women’s Elite 51kg GOLD medal for Canada, at this years’ 2015 Pan Am Games. We would like to send a huge congratulations to Mandy and all of our incredible Team Canada athletes, who continue to inspire greatness! 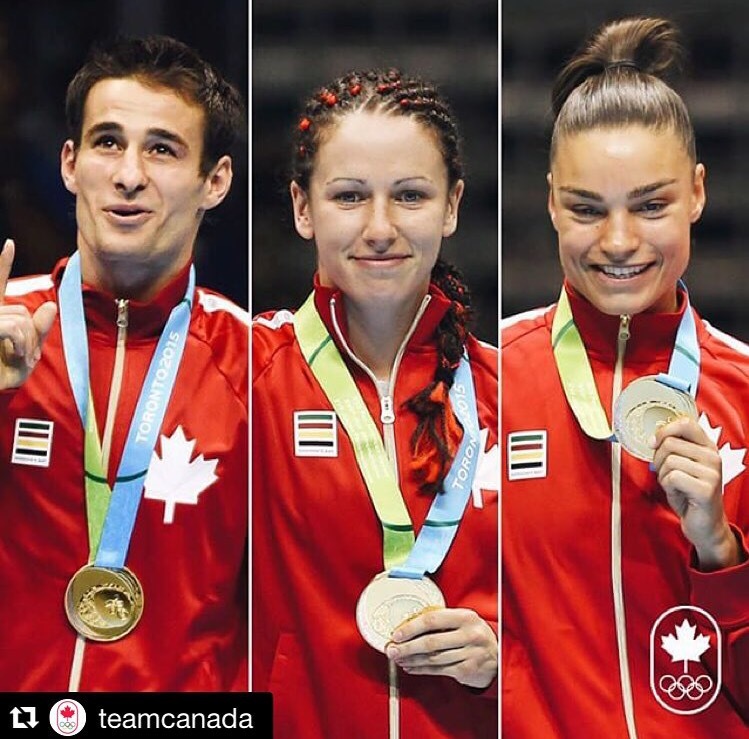 Fight To End Cancer would also like to send a special shout-out to the Boxing Canada team for bringing in 3 GOLD and 3 BRONZE medals! It is these athletes who continue to inspire our corporate, amateur fighters to train to become true boxers, before stepping into our ring to take part in the fight to end cancer.